This is quite possibly one of my most favorite quotes. I've always been super type A, so as a result its hard for me to let go of how I think certain things will play out. I'm learning to let go of the plan A and be okay with how things turn out. 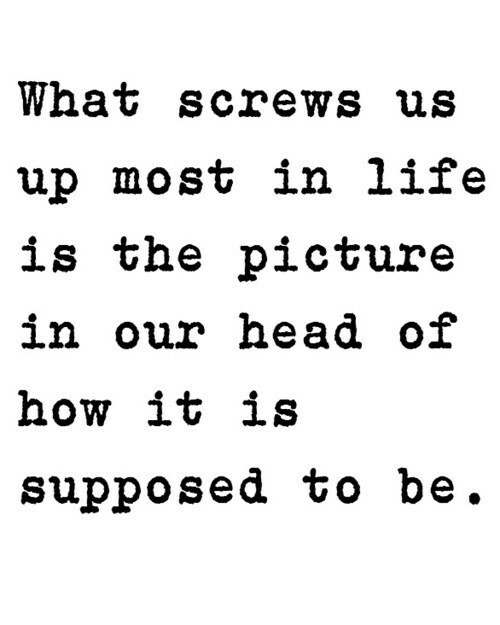 Not to mention, time after time, things always always turn out better than the way I planned and pictured them too! I love this. So important to keep this in mind. Thanks for sharing! You basically just described my life. I think I'll hang this up on my mirror or something. I think I need to put a poster of this saying on my wall or write it on my mirror in really big permanent ink.